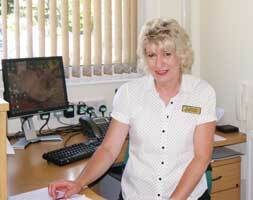 Our Receptionist Alison will be glad to help with booking your next appointment. Includes a full consultation, examination, explanation of the diagnosis and treatment. Includes a follow-on assessment and treatment. We accept payment by cheque or by cash. Please note we do not have facilities for payment by credit or debit card. We request that patients pay for treatment after each session. Please mention if you have private medical insurance at the time of booking and also check your eligibility with your insurer. In cases where patients are paying their fees directly we can provide a receipt so that you can claim the cost from your insurer. It is the policy of some insurance companies for the practice to invoice them direct. In these cases, to allow for additional administrative costs the fee charged may be slightly higher. Please note that we no longer provide osteopathy services for BUPA and AXA PPP.